Christmas Day falls on a Monday this year, which is a major clash with Living Arrows! 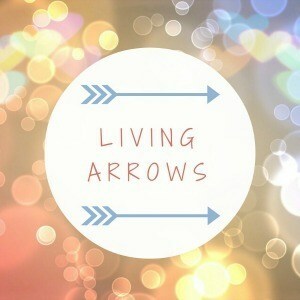 There is absolutely no way I could miss the last Living Arrows of the year, but at the same time, I think divorce might be on the cards as far as my husband is concerned if I tried writing this on Christmas Day or even Christmas Eve! So I’m writing this on Christmas Eve Eve, having written out my Christmas Day cooking schedule, and with just a few presents left to wrap, which I’ll get on with once I’ve finished this! This week has been mostly about not knowing what day it is, as hubby finished work on Tuesday, which made me think that Wednesday was Saturday, despite me reminding myself all day that it was Wednesday! I think the lack of Little M’s classes threw me out too; I like the usual routine of our week. Instead, the week has been full of food shopping, present wrapping and organisation; we’re trying really hard to have Christmas Eve ‘off’ – time to spend together, enjoying ourselves, without having to worry about the last minute preparations. So today (actual Saturday!) I have done the things I’d usually do on Christmas Eve; I’ve made my chocolate truffle torte, written my aforementioned cooking schedule and washed and folded clothes, so we’re all ready to have a lovely couple of days without too much rushing around! As it’s the last ever Living Arrows of 2017, I had to choose a high chair photo of Little M.
It’s amazing to think back to this time last year, and how she was just beginning to eat solids. Now, she’s eating with ever-increasing independence and loving every moment. Yes, she makes a terrible mess, but look at that face! It makes the caked-on Weetabix just about worth it! I’m so looking forward to seeing how she tucks into her Christmas dinner – and also looking forward to being able to enjoy mine instead of having to feed her every mouthful! I imagine this will be my last post of 2017, so there’s nothing much else left to say except thank you for following my journey this year, and have a very Merry Christmas and a Happy New Year! See you on the other side in 2018! She looks so smiley and happy. I’ve really enjoyed your photographs this past year! Aw, thank you, that’s so kind! I’ve just treated myself to a ‘proper’ camera, so I’m excited to take more next year! She’s always so proud of herself when she feeds herself with her spoon! Too cute. Thank you, I hope you have too. Happy New Year! 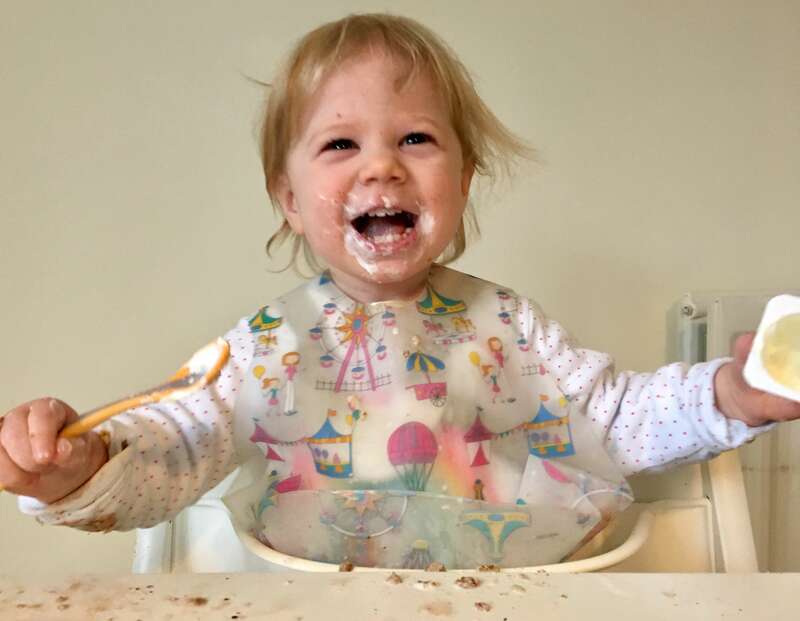 She loves her yoghurt, but can be pretty hit and miss with the Weetabix!